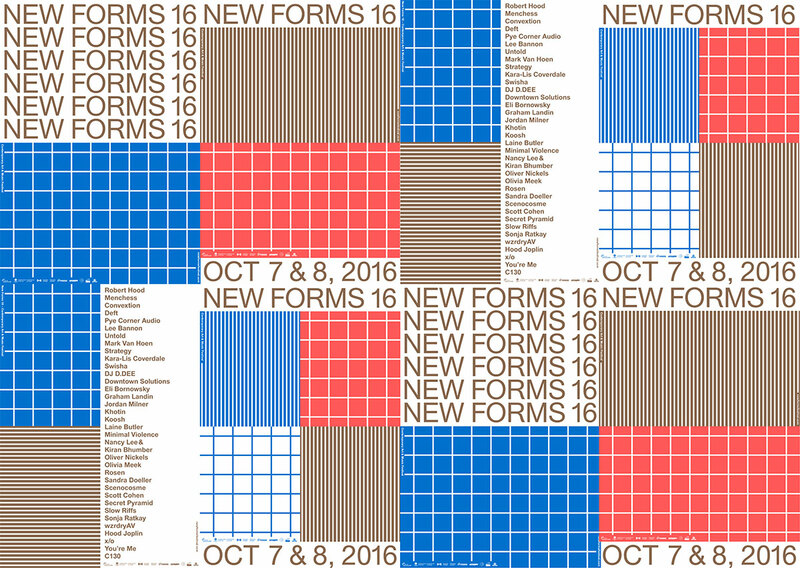 New Forms Media Society returns its annual contemporary art & music festival this year with its 2016 edition. Programming will take place on Friday and Saturday October 7th and 8th. All shows will take place within the iconic A&B Sound building located at 560 Seymour with additional shows upstairs in the Satellite Gallery and more entertainment within the adjoining lounge. The festival will include two nights of music and visuals programmed in three rooms with installations throughout the venue. Weekend passes and single night tickets are available now for purchase. Buy your festival tickets and passes here. Past artists have included: 22:22, Actress, Adam Marshall, Cauleen Smith, Daniel Bell, Daniel Wang, David Rokeby, Delroy Edwards, Dj Stingray, Dopplereffekt, Donald Buchla, Douglas Benford, Evy Jane, Grace Ndiritu, Jeff Mills, Jeremy Shaw, Joachim Koester, Joan Jonas, John Latham, Junior Boys, Kassem Mosse, Kevin Beasley, Kode9, Lars Bang Larsen, Lee Gamble, Legowelt, Lorna Mills, Marcellus Pittman, Morton Subotnick, Omar S., Oneohtrix Point Never, The Bureau of Inverse Technology, The Otolith Group, Tony Cokes, Stan Vanderbeek, Soda_Jerk, Shlohmo, Veronica Vasicka, and Von Bingen, amongst others. New Forms woud like to thank its funders Canada Council, Canadian Heritage, City of Vancouver and NFF16 sponsors More Than Human Records, Dos Equis, CiTR, Discorder Magazine, Georgia Straight Magazine, artsVest, and East Van Graphics.